Hank’s Herbs is a RI 21-28.6 Medical Marijuana Cultivator. Sales only from authorized Compassion Centers. As a licensed cultivator, our mission is to grow the cleanest medicine. Our products are cultivated in the finest organic medium, manicured daily, and harvested fresh weekly. Hank’s Herbs maintains a level of service excellence in the industry while creating an extraordinary environment of professionalism, honesty, and integrity. HANK’S HERBS IS A MICRO CULTIVATOR located in Rhode Island. Similar to a micro-brewery, Hank’s focuses its attention on detail over production. As a micro cultivator, it allows Hanks to cater to medical marijuana aficionados by only offering top shelf quality medicine. In 2013 Hank started out as a patient and then became a caregiver. Soon after, Hank’s signature Sour Kush/aka Head Band became available at finer Compassion Centers in Rhode Island. With its fuelly citrus taste and aroma Sour Kush has remained a staple. Hanks continues to grow a diverse assortment of cultivars in an effort to produce only the best cannabis. Hank’s team prides themselves on their flawless growing environment and strong genetics. The team provides individual care for each plant on a daily basis. Grown in an organic medium each plant is hand watered, hand pruned, hand harvested, slow dried, and long cured, just for you. All of this effort is to insure that what we are producing is what we would personally use to medicate. Ask for Hanks at your favorite compassion center. Producing a quality product is our main priority. We tend to and care for our plants every day of the growing process, from start to finish. Our team uses organic sustainable growing techniques to bring out the best qualities of each plant. Our aim is to provide consistent premium cannabis that our compassion centers can rely on. We focus on bringing out the most desirable qualities of each strain. The Hanks team is constantly working to increase our knowledge of new cultivation techniques, and innovations. Environmental data is constantly recorded via a host of sensors and monitors. This data is used to ensure the quality and consistency of all Hank’s Herbs products. Each product is tested to meet or exceed the standards set by Rhode Island’s compassion centers. A heavy yielding variety with valuable medicinal properties. Grows fast in vegetative period and spreads out wide to produce many tops and canopy. Its resin is heavy. This medium sized plant has taste and smell of sour fuel. Sour Diesel high is long lasting, light and perfect to fight with anxiety. This original cross is not the 707 or any other clone only Headband. Created by reversing the OG Kush to pollinate the Sour Diesel. A potent hybrid strain that boost heavy-handed euphoria and relaxation, followed by couch lock. Amazing producer of dense, resin-covered buds that fill the room with pungent earthy and sour scents descend from its parent strains. Peyote Cookies is a spectacular combo of Peyote Purple and legendary Cookies Kush. Thanks to the detailed selection and back-crossing process, only the very best qualities of both parents were retained. This robust and easy to grow plant with strong branches will produce dense and resinous buds. The flowering plant will naturally turn ruby red and purple. This vigorous hybrid is mold and mildew resistant and grows superbly both indoors or outdoors. Peyote Cookies has a very intense guava and earthy flavor, with impressions of vanilla and coffee. This lady will cause powerful, relaxing and long lasting effect. Generally, even strains that combine a Sativa and an Indica background tend to lean heavily toward one side or the other in both genetic background and effect. 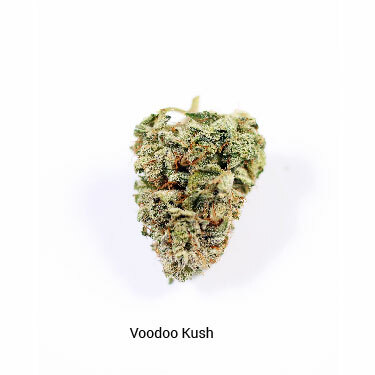 However, Candy Kush is unique even amongst Indica/Sativa hybrids: at 40 percent sativa and 60 percent Indica, this Kush strain is about as close to a true, evenly mixed hybrid that there is available. This translates to a unique blend of both Indica and Sativa effects. The Sweet Special strain is part of Candy Kush’s direct genetic background. Among other things, this strain is known for a sweet taste which is always pleasing. Three outstanding genetics meet in this cross – BC Hash plant x Reefer man Harmony x Fire OG Kush male. 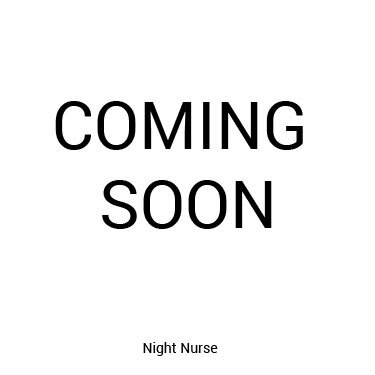 Night Nurse will help with the symptoms of stress, anxiety and insomnia and make even the most severe chronic aches and pains tolerable. A beautiful lady exhibiting dense sticky flowers filled with trichomes, the Night Nurse is a very soothing and extremely beneficial nighttime sleeping aid. This strain won 3rd place best hybrid at the 2014 HTCC. Hank’s Herbs is a RI 21-28.6 Medical Marijuana Cultivator.© 2018. All Rights Reserved.